The bestselling Berenstain Bears brand and Living Lights series continue their proven tradition of teaching children valuable lessons in a fun and creative way. 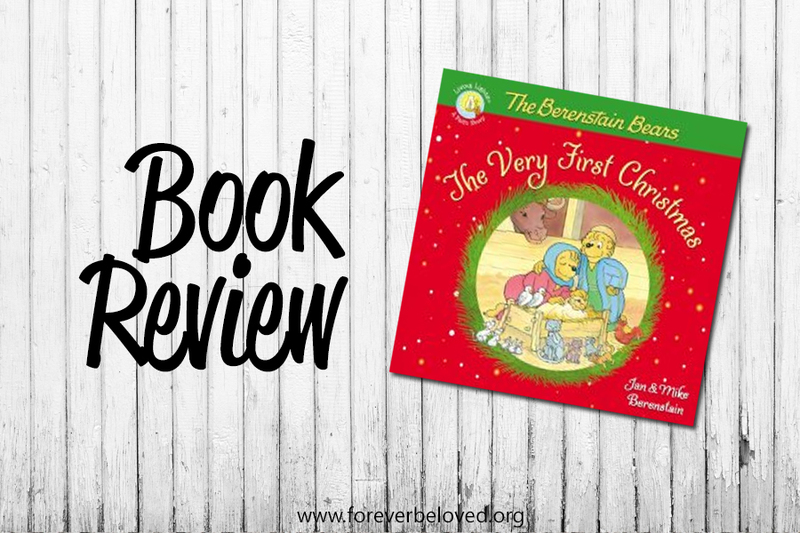 In the affordable 8x8 softcover format, The Berenstain Bears and the Night Jesus was Born gives fans of the Berenstain Bears the story of Jesus’ coming … from the angel’s announcement of a new baby to the visit of the three wise men. Oh, how the Berenstain Bears remind me of my childhood. I absolutely loved getting lost in those books. And I seem to remember cartoons of the books as well. I've always adored this cute little bear family, and was so excited to get one to review. Of course, it will also make it's way to my Sunday School class to be read to some sweet littles as well. This book is beautifully written and illustrated. It shouldn’t surprise me, every Berenstain Bears book I’ve ever read was incredible. I love how they told the story just the way it is written, and in a way that children can understand it. Isn't it so important to tell our littles the true meaning of Christmas? This book does just that! Stan and Jan Berenstain, often called The Berenstains, were American writers and illustrators best known for creating the children's book series The Berenstain Bears. In an interview about the books, the Berenstains said that a big reason behind their inspiration was some of the difficulties parents faced, as well as some childhood tribulations when they were kids themselves. The Berenstains also noted there were some issues which seemed to appear in every generation, such as kids throwing tantrums in public places, which made important subject matter for their stories. However, they deliberately wanted to steer clear of overly heavy issues, such as violence. In their later years, critics sometimes dismissed the books for having social attitudes stuck in the 1950s along with the bears' clothing styles and penchant for activities such as playing jacks and hopscotch, even though they did change with the times somewhat by introducing things like video games and cell phones.